"My eyes see. His eyes see. I see him. And he sees me." With text as simple as simple can be, Theo. LeSieg (a.k.a. 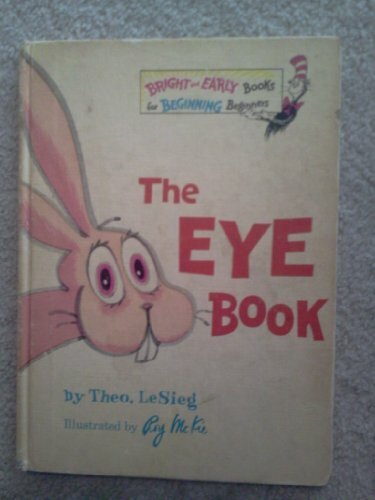 Theodore Geisel, a.k.a. Dr. Seuss) uses humor and rhythm to encourage the very youngest children to discover the joy of reading. A big-eyed boy and a pink-eyed rabbit cavort through the book, seeing everything there is to see: a girl, a horse, an old tin can, the sun, the moon--even pink underpants (which makes them both blush). Rhyming objects give the brief "story" a lilting, happy cadence, and Joe Mathieu's cartoonish colorful pictures provide easy clues to the text. This is a friendly introduction to the wide, wondrous world of seeing and reading. 3/5/2008 Terry Doherty said: This is a fun and simple Dr. Suess. Always fun to read.